Local secondary school Richmond Park Academy are excited to announce the launch of a community table tennis club. Table Tennis is inclusive and skilful (when played properly!) and is a sport that will last a lifetime. The Richmond Park Table Tennis Club will take place every Tuesday and will be run by English Table Tennis Association (ETTA) Level 2, Head Coach, Jon Kaufman, who has had fantastic success with his school table tennis clubs on a national level. Primary school sessions will take place between 4 pm and 5.30 pm followed by the secondary school session between 5.30 pm and 7pm. 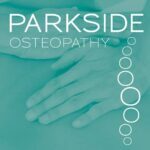 The club will be fun and engaging but will also ensure that good technique is taught on a weekly basis. It will also have a strong pathway to local, regional and national competition for those students who wish to take advantage of it. 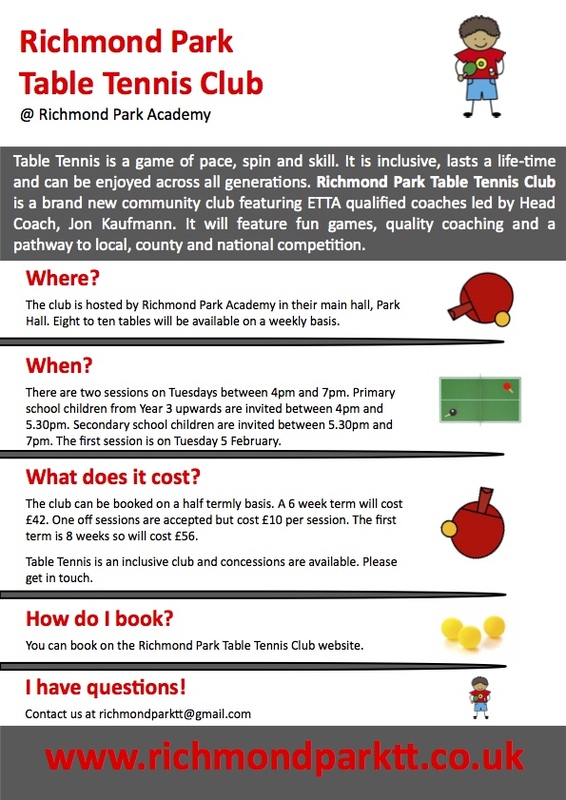 To find out more or book your place, go to www.richmondparktt.co.uk.